In the film, the swimmers from the 11 o’clock club explain how they get together and organise fundraisers for Action Breast Cancer. They have so far raised €75,000. 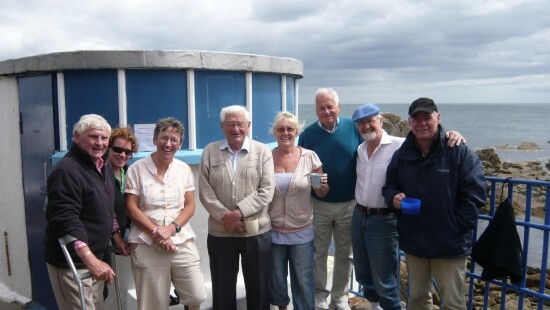 They organise a yearly Mini Triathlon which consists of a walk, a gentle cycle and of course, a dip in the Forty Foot! 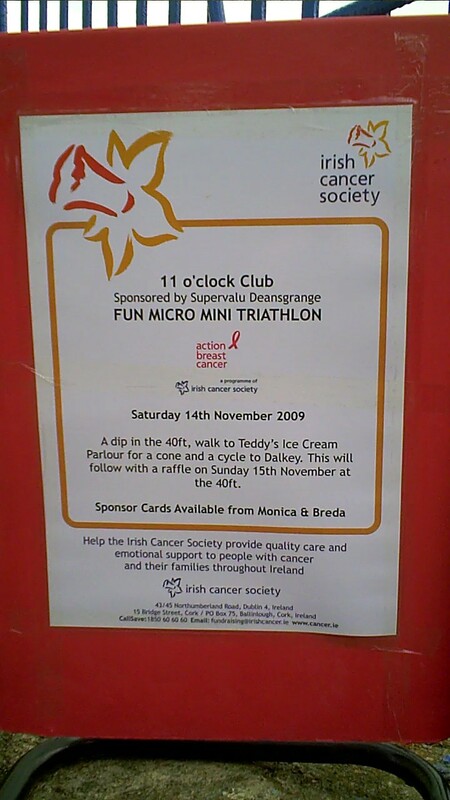 This year it will happen on the 14th of November 2009, departing from the Forty Foot, Sandycove, South County Dublin, at 10 am. Join them and help them raise money for breast cancer!